It might not be groundbreaking, but it’s a quality descent into hypnosis. There’s a certain hypnotic quality to games like Tetris and Super Hexagon, and to successfully tap into it is something many games try, but few succeed. JUMPGRID walks the line between succeeding wildly and misstepping. It took me a while to figure out, because in theory, JUMPGRID is the perfect game to put on and enter a trance of zipping around dodging squares. You move a circle between different points on a grid, avoiding being hit by rhythmically moving geometric shapes. Intuitive gameplay, music, geometry, it has all the elements of a Tetris-esque (Tetr-esque, if you will) hypnotic game, but it just falls a little short. The music isn’t quite catchy enough and I rarely felt like the movements and the music were synced, which was disappointing for a game marketed as a ‘dance for your fingers.’ The few moments in which everything aligned were incredible however, leaving no doubt that underneath a couple mechanical errors, JUMPGRID has the makings of a very addictive game, helped by a really good difficulty level that doesn’t feel either impossible or coddling. Like all good games, JUMPGRID takes full advantage of simple controls with interesting level designs and tricks, like rotating grids, time limits and the end of level marathon levels. Quadrant 3 and 4 ramp up the gimmicks, but it might have been nice to have utilised them a little more, since they tend to drop in and introduce themselves before immediately leaving for something new. Tragically, the main problem with JUMPGRID is that it ends far too quickly and there’s no real option for replayability. I found I was craving an infinite mode, or a couple challenges, but the only thing there is on the menu is an option for a speedrun mode, which puzzled me because the ‘campaign’ is already lightning-fast and lends itself to completing as fast as possible anyway. It seems like the only difference between the main game and the speedrun is the inclusion of a visible stopwatch, which doesn’t really feel like enough to justify its inclusion. At the end of the day, despite knowing all this, I kept going back to it when I needed to kill a couple minutes, and that easiness to get into is what saves JUMPGRID. I am yet to find a better game for killing a few minutes, and then finding that an hour and a half has passed and I’ve replayed the game twice (I cannot stress enough how incredibly short this game is). A couple more levels and a bit of tweaking, and JUMPGRID will easily be the next Super Hexagon in terms of addictiveness and hypnotic qualities, but it falls half a notch short of the mark in its current form. 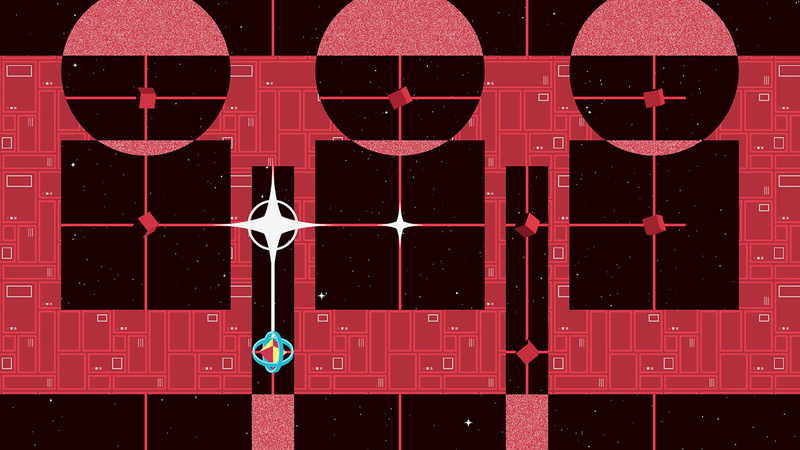 Cai reviewed JUMPGRID using a Steam code provided by its developer, Ian MacLarty.